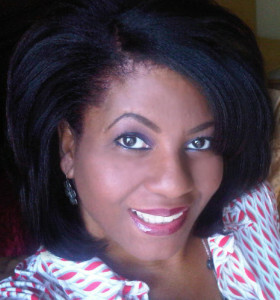 Branding Coach (SLBC) Caroll Atkins help people with tips on how to live out their passion/s. Whether it be for profit or for purpose, I show one through a quantifiable strategic process, how to go on their own authentic journey so they may uncover their life’s true design. As a Strategic Life Branding Coach (SLBC) Caroll Atkins help people with tips on how to live out their passion/s. Whether it be for profit or for purpose, I show one through a quantifiable strategic process, how to go on their own authentic journey so they may uncover their life’s true design. 1. Make a list of all loves. Things that draw and keep your attention and things you would do or follow any chance you got. 2. Once you have narrowed down that passion, it is time to chronicle your experiences with it. Do so by journaling, blogging, YouTubing, Facebooking etc. 3. After several stints of public exposure of your passion, encourage feedback from trusted sources and general sources. 4. Determine feasibility with something simple as a questionnaire to something more pivotal such as giving away samples of your product. 5. It is production and marketing time! Once you have sufficient feedback from people regarding your product it is time to put the word and product out on a broader scale. Bonus Tip: For those who do not want to create products but just want to learn to bring their passion to the forefront for their own personal happiness, this method works as well.